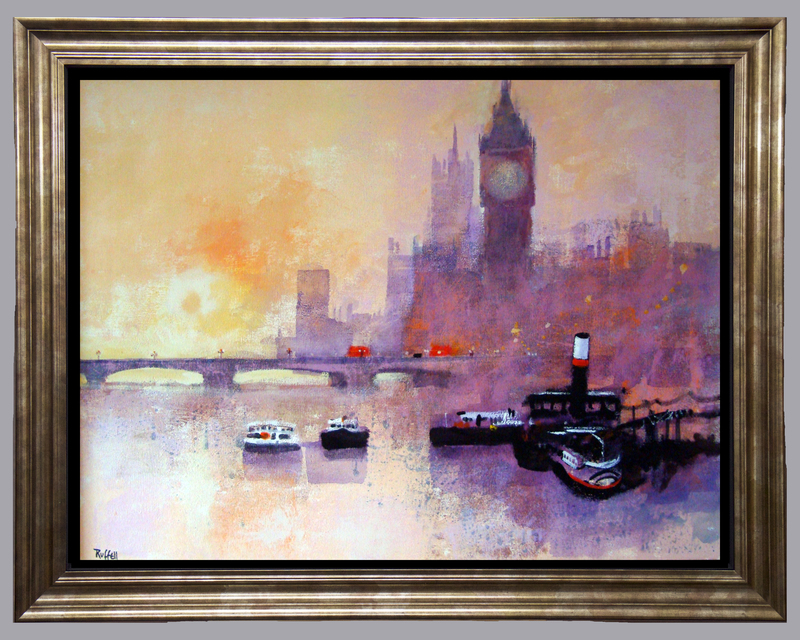 Tags: Big Ben, Cityscape, London, original painting, River Thames, Westminster. Original paintings are unique one-off works of art. Original paintings maintain quality and value for future generations. An International Certificate of Authenticity is available. Collectors and patrons who buy direct from the artist will ensure that their correct details are saved in the artist’s records. Image copyright protection with Original Art Registration number is issued by The Fine Art Trade Guild in London UK. The value of original paintings is determined by gallery, on-line, or auction sales, and can continue to grow as the artist matures, and after the artists death. Art lovers who collect original paintings ‘direct from artist’ can insure the work for the genuine direct replacement cost and avoid insurance company quibbles. You will want to choose a frame to high standards and to suit your own hanging place, décor, and budget, so any existing display frame is free.